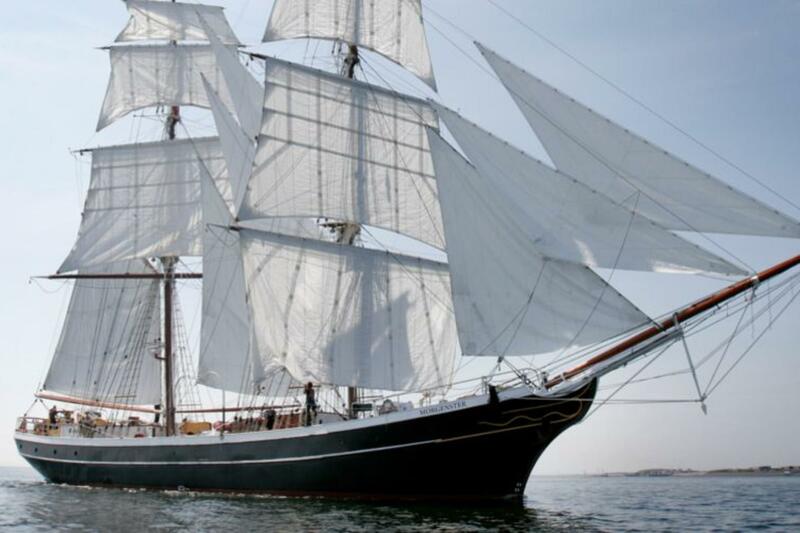 The “de Ruyter Memorial Zeiltocht”, sponsored by Scheepvaart Museum, will be organized from the different ports in the Netherlands to muster on the Medway, followed by a spectacular entrance in Chatham. Sailing contests on the Medway for both fleets during the week. Different classes can participate. For every fleet a point of contact (POC) is available. Zeezeilschool Scheveningen has ships available for active passengers. TIP: Still spots available for active passengers. See below. The Morgenster (background picture) and zeillogger Iris are scheduled to sail Scheveningen - Chatham vv and will be on location June 8-11. Morgenster will lead the Sail-in, with HNLMS Urania, SS G Stephenson, MV Waddenzee and three Admiralstender 890 in close formation. Do not contact ships directly in relation to this event, please. Morgenster cabins fully booked, hammocks still available. Zeezeilschool Scheveningen has 4 ships available for +/- 4 active passengers. Program iaw fleet1, fleet2 or both. Almost filled, so be quick!!! Four separate locations are available for berthing: alongside, on moorings, behind locks or even bottoming at low tide. These locations are: Chatham Marina, Upnor Sailing Club, Medway Yacht Club and Gillingham Marina. Each has its own specifications which will be shared separately on request. Jet Stream Tours will provide a shuttle-boat and boat-taxi. On land busses will routinely pass these marinas during the event. Historizon organizes an "overland" journey to Chatham. See document below. Please contact relevant POC directly for further information.